What Is a Color Additive ? How Are Additives Approved for Use in Foods ? Why Are Food and Color Ingredients Added to Food ? In its broadest sense, a food additive is any substance added to food. Legally, the term refers to “any substance the intended use of which results or may reasonably be expected to result — directly or indirectly — in its becoming a component or otherwise affecting the characteristics of any food” 1). This definition includes any substance used in the production, processing, treatment, packaging, transportation or storage of food. The purpose of the legal definition, however, is to impose a premarket approval requirement. Therefore, this definition excludes ingredients whose use is generally recognized as safe (where government approval is not needed), those ingredients approved for use by U.S. Food and Drug Administration (FDA) or the U.S. Department of Agriculture (USDA) prior to the food additives provisions of law, and color additives and pesticides where other legal premarket approval requirements apply. Direct food additives are those that are added to a food for a specific purpose in that food. For example, xanthan gum — used in salad dressings, chocolate milk, bakery fillings, puddings and other foods to add texture — is a direct additive. Most direct additives are identified on the ingredient label of foods. Provide color and enhance flavor: Certain colors improve the appearance of foods. Many spices, as well as natural and man-made flavors, bring out the taste of food. For example, beeswax – glazing agent 3) may be used to coat apples to improve their appearance. Give the food a smooth and consistent texture: Emulsifiers prevent liquid products from separating. Stabilizers and thickeners provide an even texture. Anticaking agents allow substances to flow freely. Control the acid-base balance of foods and provide leavening: Certain additives help change the acid-base balance of foods to get a certain flavor or color. Leavening agents that release acids when they are heated react with baking soda to help biscuits, cakes, and other baked goods rise. For example, sorbitol – humectant 4) may be added to mixed dried fruit to maintain the moisture level and softness of the fruit. Preserve food when this is the most practical way of extending its storage life. Improve or preserve the nutrient value: Many foods and drinks are fortified and enriched to provide vitamins, minerals, and other nutrients. Examples of commonly fortified foods are flour, cereal, margarine, and milk. This helps make up for vitamins or minerals that may be low or lacking in a person’s diet. All products that contain added nutrients must be labeled. Maintain the wholesomeness of foods: Bacteria and other germs can cause foodborne illnesses. Preservatives reduce the spoilage that these germs can cause. 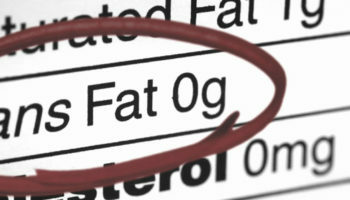 Certain preservatives help preserve the flavor in baked goods by preventing the fats and oils from going bad. Preservatives also keep fresh fruits from turning brown when they are exposed to the air. For example, sulphur dioxide – preservative 5) is added to some meat products such as sausage meat to limit microbial growth. 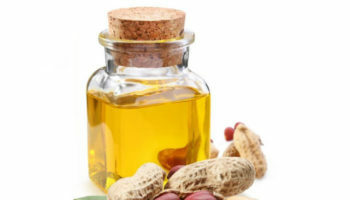 Many substances used as additives also occur naturally, such as vitamin C or ascorbic acid 6) in fruit, or lecithin 7), which is present in egg yolks, soya beans, peanuts and maize. The human body cannot distinguish between a chemical naturally present in a food and that same chemical present as an additive. The United States Food and Drug Administration (FDA) has a list of food additives that are thought to be safe. Many have not been tested, but most scientists consider them safe. These substances are put on the “generally recognized as safe (GRAS)” list. This list contains about 700 items. Congress defines safe as “reasonable certainty that no harm will result from use” of an additive. Examples of items on this list are: guar gum, sugar, salt, and vinegar. The list is reviewed regularly. To provide color to colorless and “fun” foods. FDA’s permitted colors are classified as subject to certification or exempt from certification, both of which are subject to rigorous safety standards prior to their approval and listing for use in foods. The evaluation determines an appropriate level of use that includes a built-in safety margin – a factor that allows for uncertainty about the levels of consumption that are expected to be harmless. In other words, the levels of use that gain approval are much lower than what would be expected to have any adverse effect. Because of inherent limitations of science, FDA can never be absolutely certain of the absence of any risk from the use of any substance. Therefore, FDA must determine – based on the best science available – if there is a reasonable certainty of no harm to consumers when an additive is used as proposed. If an additive is approved, FDA issues regulations that may include the types of foods in which it can be used, the maximum amounts to be used, and how it should be identified on food labels. In 1999, procedures changed so that FDA now consults with USDA during the review process for ingredients that are proposed for use in meat and poultry products. Federal officials then monitor the extent of Americans’ consumption of the new additive and results of any new research on its safety to ensure its use continues to be within safe limits. Food additives perform a variety of useful functions in foods that consumers often take for granted. Some food additives could be eliminated if we were willing to grow our own food, harvest and grind it, spend many hours cooking and canning, or accept increased risks of food spoilage. But most consumers today rely on the many technological, aesthetic and convenient benefits that additives provide. To Maintain or Improve Safety and Freshness: Preservatives slow product spoilage caused by mold, air, bacteria, fungi or yeast. In addition to maintaining the quality of the food, they help control contamination that can cause foodborne illness, including life-threatening botulism. One group of preservatives — antioxidants — prevents fats and oils and the foods containing them from becoming rancid or developing an off-flavor. They also prevent cut fresh fruits such as apples from turning brown when exposed to air. To Improve or Maintain Nutritional Value: Vitamins and minerals (and fiber) are added to many foods to make up for those lacking in a person’s diet or lost in processing, or to enhance the nutritional quality of a food. Such fortification and enrichment has helped reduce malnutrition in the U.S. and worldwide. All products containing added nutrients must be appropriately labeled. A food additive, which controls the acidity or alkalinity of a food. Added to beverages, frozen desserts, chocolate, low acid canned foods, baking powder. Names Found on Product Labels: Lactic acid, citric acid, ammonium hydroxide, sodium carbonate. Reduces the tendency of particles of food to adhere to one another. Keep powdered foods free-flowing, prevent moisture absorption. Added to Salt, baking powder, confectioner’s sugar. Names Found on Product Labels: Calcium silicate, iron ammonium citrate, silicon dioxide. A food additive, which prevents or reduces foaming. A food additive, which prolongs the shelf-life of foods by protecting against deterioration caused by oxidation. A food additive (non-flour use) used to decolourize food. Bleaching agents do not include pigments. A food additive, which contributes to the bulk of a food without contributing significantly to its available energy value. A food additive used to provide carbonation in a food. Names Found on Product Labels: FD&C Blue Nos. 1 and 2, FD&C Green No. 3, FD&C Red Nos. 3 and 40, FD&C Yellow Nos. 5 and 6, Orange B, Citrus Red No. 2, annatto extract, beta-carotene, grape skin extract, cochineal extract or carmine, paprika oleoresin, caramel color, fruit and vegetable juices, saffron (Note: Exempt color additives are not required to be declared by name on labels but may be declared simply as colorings or color added). A food additive, which stabilizes, retains or intensifies the colour of a food. Produce more stable dough. Added to breads and other baked goods. 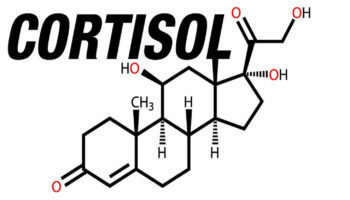 Names Found on Product Labels: Soy lecithin, mono- and diglycerides, egg yolks, polysorbates, sorbitan monostearate. 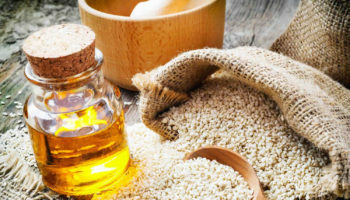 In a laboratory study involving mice 10) dietary emulsifiers promoted colon cancer in a mouse model by altering gut microbes and increasing gut inflammation. Our digestive tract is home to 100 trillion bacteria. Collectively known as the gut microbiota, these bacteria help with metabolism and maintaining a healthy immune system. Changes in this microbial community can cause chronic diseases. Dietary emulsifiers are added to many processed foods to improve texture and extend shelf life. Chemically similar to detergents, they have been shown to alter the mucus barrier and the microbes associated with it. To determine whether these might play a role in chronic diseases, the researchers fed mice low levels of 2 commonly used emulsifiers, carboxymethylcellulose or polysorbate-80, in drinking water or in food 11). Mice fed the emulsifiers for 12 weeks developed low-grade intestinal inflammation and metabolic syndrome — a group of conditions that increase the risk for type 2 diabetes, heart disease, and stroke. Mice that were genetically engineered to be more prone to inflammation and gut microbe changes developed colitis when fed the emulsifiers. Mice that consumed the emulsifiers had an altered bacterial composition and thinner intestinal mucus, so that bacteria were closer to the cells lining the colon. The mice also had weight gain, increased food consumption, increased fat mass, and impaired glucose handling, a sign of metabolic syndrome. When the researchers fed emulsifiers to germ-free mice, which don’t have gut microbiota, the mice showed no signs of gut inflammation, mucus thinning, or metabolic syndrome. This suggests that the effects of the emulsifiers were most likely caused by altering gut bacteria. When gut microbes from normal, emulsifier-fed mice were transplanted into germ-free mice that hadn’t been fed emulsifiers, the mice developed low grade inflammation, increased fat mass, and glucose intolerance. These results showed that changes in the gut microbiota caused by dietary emulsifiers can drive inflammation and metabolic changes. Here, the researchers demonstrate in a preclinical model of colitis-induced colorectal cancer that regular consumption of dietary emulsifiers, carboxymethylcellulose or polysorbate-80, exacerbated tumor development. Enhanced tumor development was associated with an altered microbiota metagenome characterized by elevated levels of lipopolysaccharide and flagellin. We found that emulsifier-induced alterations in the microbiome were necessary and sufficient to drive alterations in major proliferation and apoptosis signaling pathways thought to govern tumor development. Overall, our findings support the concept that perturbations in host–microbiota interactions that cause low-grade gut inflammation can promote colon carcinogenesis. The researchers are now testing additional emulsifiers. They are also designing experiments to examine the effects of food additives in humans. Modify proteins, polysaccharides and fats. Added to cheese, dairy products, meat. Provide expected texture and a creamy “mouth-feel” in reduced-fat foods. Used in baked goods, dressings, frozen desserts, confections, cake and dessert mixes, dairy products. Names Found on Product Labels: Olestra, cellulose gel, carrageenan, polydextrose, modified food starch, microparticulated egg white protein, guar gum, xanthan gum, whey protein concentrate. A food additive, which makes or keeps tissues of fruit or vegetables firm and crisp, or interacts with gelling agents to produce or strengthen a gel. Maintain crispness and firmness. Added to processed fruits and vegetables. Names Found on Product Labels: Natural flavoring, artificial flavor, and spices. Names Found on Product Labels: Monosodium glutamate (MSG), hydrolyzed soy protein, autolyzed yeast extract, disodium guanylate or inosinate. A food additive, which makes it possible to form or maintain a uniform dispersion of a gaseous phase in a liquid or solid food. Serve as propellant, aerate, or create carbonation. Used with oil cooking spray, whipped cream, carbonated beverages. A food additive, which gives a food texture through formation of a gel. A food additive, which prevents food from drying out by counteracting the effect of a dry atmosphere. Retain moisture. Added to shredded coconut, marshmallows, soft candies, confections. Names Found on Product Labels: Glycerin, sorbitol. Promote rising of baked goods. Used in breads and other baked goods. Names Found on Product Labels: Baking soda, monocalcium phosphate, calcium carbonate. Replace vitamins and minerals lost in processing (enrichment), add nutrients that may be lacking in the diet (fortification). Added to flour, breads, cereals, rice, macaroni, margarine, salt, milk, fruit beverages, energy bars, instant breakfast drinks. Names Found on Product Labels: Thiamine hydrochloride, riboflavin (Vitamin B2), niacin, niacinamide, folate or folic acid, beta carotene, potassium iodide, iron or ferrous sulfate, alpha tocopherols, ascorbic acid, Vitamin D, amino acids (L-tryptophan, L-lysine, L-leucine, L-methionine). A food additive gas, which is introduced into a container before, during or after filling with food with the intention to protect the food, for example, from oxidation or spoilage. 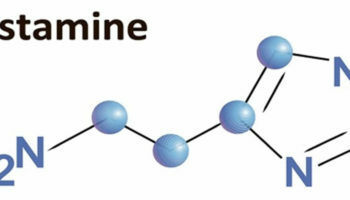 A food additive, which prolongs the shelf-life of a food by protecting against deterioration caused by microorganisms. Names Found on Product Labels: Ascorbic acid, citric acid, sodium benzoate, calcium propionate, sodium erythorbate, sodium nitrite, calcium sorbate, potassium sorbate, BHA, BHT, EDTA, tocopherols (Vitamin E). A food additive gas, which expels a food from a container. A food additive or a combination of food additives, which liberate(s) gas and thereby increase(s) the volume of a dough or batter. A food additive, which controls the availability of a cation. A food additive (other than a mono- or disaccharide sugar), which imparts a sweet taste to a food. Names Found on Product Labels: Sucrose (sugar), glucose, fructose, sorbitol, mannitol, corn syrup, high fructose corn syrup, saccharin, aspartame, sucralose, acesulfame potassium (acesulfame-K), neotame. A food additive, which increases the viscosity of a food. Produce uniform texture, improve “mouth-feel.” Used in frozen desserts, dairy products, cakes, pudding and gelatin mixes, dressings, jams and jellies, sauces. Names Found on Product Labels: Gelatin, pectin, guar gum, carrageenan, xanthan gum, whey. Promote growth of yeast. Used in breads and other baked goods. Names Found on Product Labels: Calcium sulfate, ammonium phosphate. Symbols used in this list: A or α = alpha; β = beta; δ = delta; γ = gamma. Under the Federal Food, Drug, and Cosmetic Act (Chapter VII, section 721), color additives, except for coal tar hair dyes, are subject to FDA approval before they may be used in food, drugs, or cosmetics, or in medical devices that come in contact with the bodies of people or animals for a significant period of time 14). §73.30 Annatto extract E160b 1963 Foods generally. §73.75 Canthaxanthin(3) E161g 1969 Foods generally, NTE(7) 30 mg/lb of solid or semisolid food or per pint of liquid food; May also be used in broiler chicken feed. §73.85 Caramel E150a-d 1963 Foods generally. §73.90 β-Apo-8′-carotenal E160e 1963 Foods generally, NTE(7): 15 mg/lb solid, 15 mg/pt liquid. §73.95 β-Carotene E160a 1964 Foods generally. §73.140 Toasted partially defatted cooked cottonseed flour —- 1964 Foods generally. §73.160 Ferrous gluconate —- 1967 Ripe olives. §73.165 Ferrous lactate —- 1996 Ripe olives. §73.169 Grape color extract(3) E163? 1981 Nonbeverage food. §73.170 Grape skin extract (enocianina) E163? 1966 Still & carbonated drinks & ades; beverage bases; alcoholic beverages (restrict. 27 CFR Parts 4 & 5). §73.200 Synthetic iron oxide(3) E172 1994 Sausage casings NTE(7) 0.1 percent (by wt). 2015 Hard and soft candy, mints and chewing gum. 2015 For allowed human food uses, reduce lead from ≤ 20 ppm to ≤ 5 ppm. §73.250 Fruit juice(3) —- 1966 Foods generally. §73.300 Carrot oil —- 1967 Foods generally. §73.340 Paprika E160c 1966 Foods generally. §73.345 Paprika oleoresin E160c 1966 Foods generally. §73.350 Mica-based pearlescent pigments —- 2006 Cereals, confections and frostings, gelatin desserts, hard and soft candies (including lozenges), nutritional supplement tablets and gelatin capsules, and chewing gum. 2013 Distilled spirits containing not less than 18 % and not more than 23 % alcohol by volume but not including distilled spirits mixtures containing more than 5 % wine on a proof gallon basis. 2015 Cordials, liqueurs, flavored alcoholic malt beverages, wine coolers, cocktails, nonalcoholic cocktail mixers and mixes and in egg decorating kits. §73.450 Riboflavin E101 1967 Foods generally. §73.530 Spirulina extract —- 2013 Candy and chewing gum. 2014 Coloring confections (including candy and chewing gum), frostings, ice cream and frozen desserts, dessert coatings and toppings, beverage mixes and powders, yogurts, custards, puddings, cottage cheese, gelatin, breadcrumbs, and ready-to-eat cereals (excluding extruded cereals). §73.575 Titanium dioxide E171 1966 Foods generally; NTE(7) 1 percent (by wt). §73.585 Tomato lycopene extract; tomato lycopene concentrate(3) E160 2006 Foods generally. §73.600 Turmeric E100 1966 Foods generally. §73.615 Turmeric oleoresin E100 1966 Foods generally. Notes: (2) The year approved is based on the date listed in the “Confirmation of Effective Date” notice for the action as published in the Federal Register. (3) Petitioned for use after the 1960 amendments; not provisionally listed. (7) NTE – not to exceed. §74.250 Orange B(3) —- 1966 Casings or surfaces of frankfurters and sausages; NTE(7) 150 ppm (by wt). §74.705 FD&C Yellow No. 5 E102 1969 Foods generally. §74.706 FD&C Yellow No. 6 E110 1986 Foods generally. Note: Color additives listed in table 4 must be analyzed and batch certified by FDA before they can be used in any FDA-regulated product marketed in the U.S. This requirement applies to products imported into this country as well as those manufactured domestically. Manufacturers of certified color additives must include on the label the name of the certified color additive, a statement indicating general use limitations, any quantitative limitations in products, and the certification lot number assigned to the batch. Straight colors required to be certified are listed in 21 CFR Part 74. Most lakes are provisionally listed under 21 CFR 81.1 for use as listed in 21 CFR 82.51 (food, drugs, and cosmetics), 21 CFR 82.1051 (drugs and cosmetics), or 21 CFR 82.2051 (externally applied drugs and cosmetics). All FD&C Red No. 40 lakes are permanently listed under 21 CFR 74.340 (food), 74.1340 (drugs), and 74.2340 (cosmetics). FD&C Blue No. 1 and FD&C Yellow No. 5 aluminum lakes for drug and cosmetic use are permanently listed in 21 CFR sections 74.1101, 74.1705, 74.2101, and 74.2705. Additional notes: (2) The year approved is based on the date listed in the “Confirmation of Effective Date” notice for the action as published in the Federal Register. (3) Petitioned for use after the 1960 amendments; not provisionally listed. (7) NTE – not to exceed. Note: The list was last updated 21 July 2016.